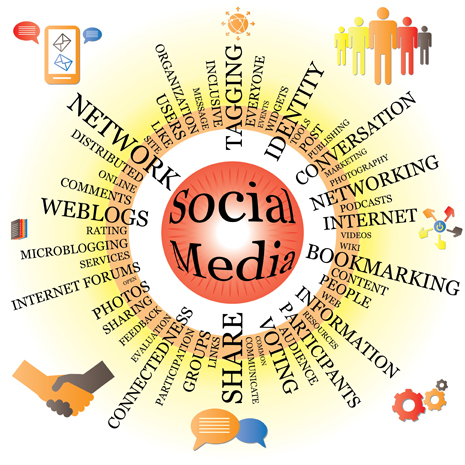 There are so many forms of social media that monitoring all of them can become a hassle. The top rated on PC world contain both websites, apps and web-browsers. Streamy is a website that keeps all of your social mediums and services in different tabs, making it easy to differentiate between the traffic on each of them. Flock is a web browser that makes it possible to post to various social mediums via a sidebar that is constantly visible. FriendFeed, a website that makes it easier for your friends to track all of your social media activity in one place. Another form of an aggregator is the newly emerging “if this, then that”, or ifft. Ifft is an application that allows you to customize the notifications you receive, for example, if someone tags you in a photo on facebook, then send you a text. Ifttt syncs with s a wide variety of websites and services, including email, SMS texting, Twitter, Facebook, Dropbox, Google Calendar, LinkedIn, Instapaper, Flickr, Foursquare, Vimeo, and Weather. Social media analytics can be tracked in hundreds of different ways, there are databases, spreadsheets, plug-ins and many other options. For example, ViralHeat is a social media tracking company that regularly gives away free access to their database of social media analytics. Information on various companies, topics and properties can be analyzed and charted to make background, or market research increasingly easier.